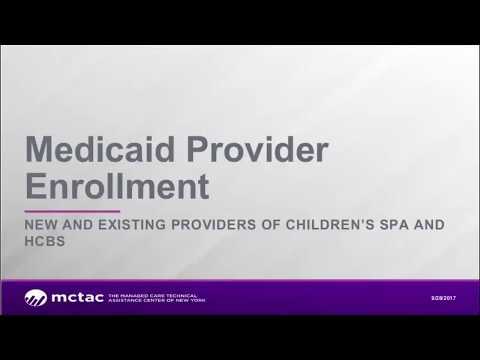 Does your agency provide or plan to provide the new Children's SPA and/or Aligned HCBS services? Have questions related to the Provider Medicaid Enrollment Process? This pre-recorded webinar walks through the steps you need to take in order to enroll as a Medicaid Provider and be able to bill and be reimbursed by Medicaid. Questions? Email them to providerenrollment@health.ny.gov or mctac.info@nyu.edu. Additional contact information included in presentation.